Those of you dreaming of indulging in the glamour of the French Riviera and London’s buzzing city life will no longer have to choose between the two. In a bold and oh so chic move, The Mandeville Hotel has recently collaborated with Maison Christian Lacroix, bringing the feel of the famous coastline to the fifth floor of their Marylebone hotel. The launch of their stunning new rooms, true to Lacroix’ flamboyant style, transformed the hotel into a true couture treat. 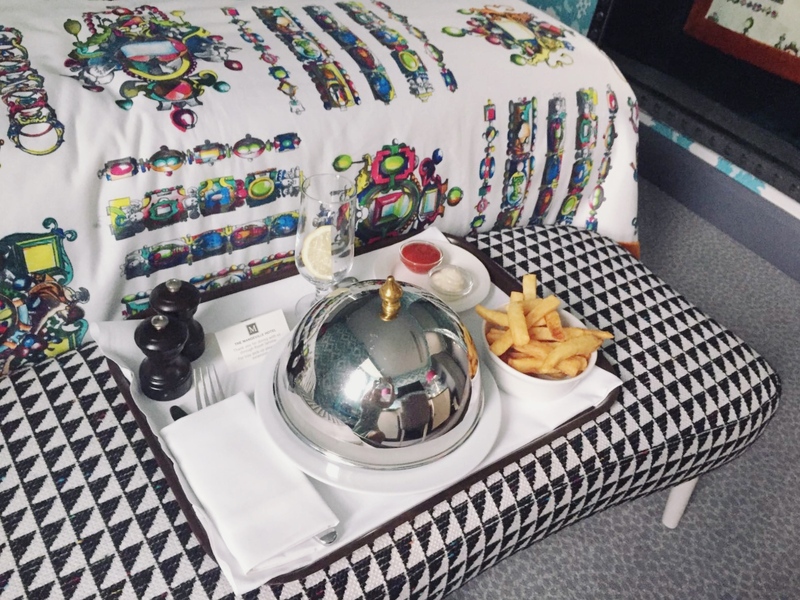 I was lucky to be a part of the experience, as I enjoyed a rather glamorous staycation at the Jewel Box room, a part of the Riviera Rooms collection. With each of the four rooms designed to tell a different story, from the tropical feel of Jardin Exotique accentuated with Julian Chichester’s furniture to the glamorously sultry Midnight Blue, Jewel Box makes you feel as if you quite literally walked inside a jewellery box. This comes as no surprise as the room decor was inspired by Grace Kelly’s famously stolen Cartier jewels. From bejewelled bedding and precious stone accents adorning the cupboards, Jewel Box is easily the most glitzy addition to the French Riviera collection and yet, it stays true to the area’s undeniable charm. 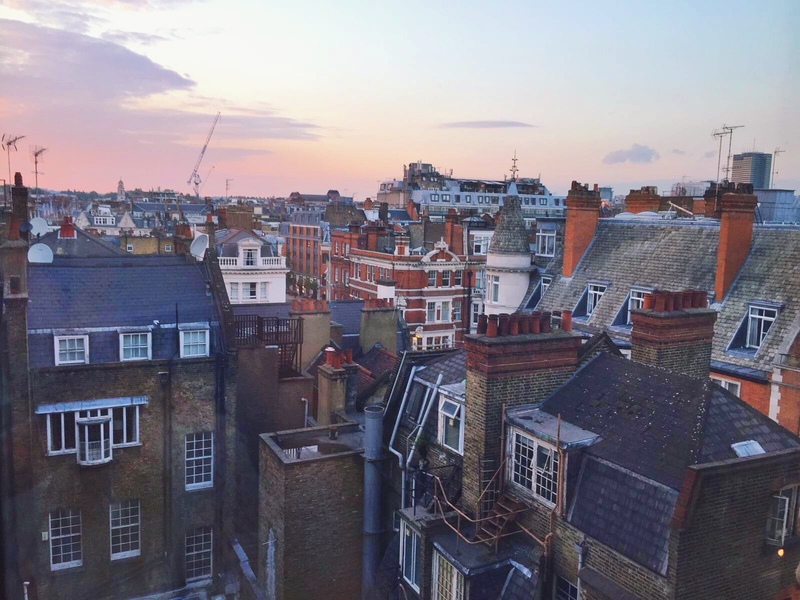 Pop your head through the slanted window overlooking Marylebone’s rooftops, as the narrow smudges of chimney smoke make their way towards the London sky, and you’ll see the city as described in F.H. Burnett’s turn of the century novels. Perfect for a staycation, the time I spent at Mandeville was just what I needed to recharge my batteries. Elegantly quirky, the hotel holds one of London’s most sought-after postcodes. Surrounded by brunch spots speckled across James St, with West End, Oxford Street and the stylish boutiques of Bond St just a stone throw away, you certainly won’t be short of things to do. The best part? You’d don’t event need to get on the tube – Mandeville really is in the centre of it all! If you feel like having a quiet one, sneak out to the hotel’s cocktail bar (think 1950s New York) for a nightcap… Although with their dirty martini’s named the best in town by Marie Claire and the drinks menu boasting a rather impressive selection of cocktails (Monkey Shoulder infused with caramel popcorn anyone? ), you may end up staying longer! 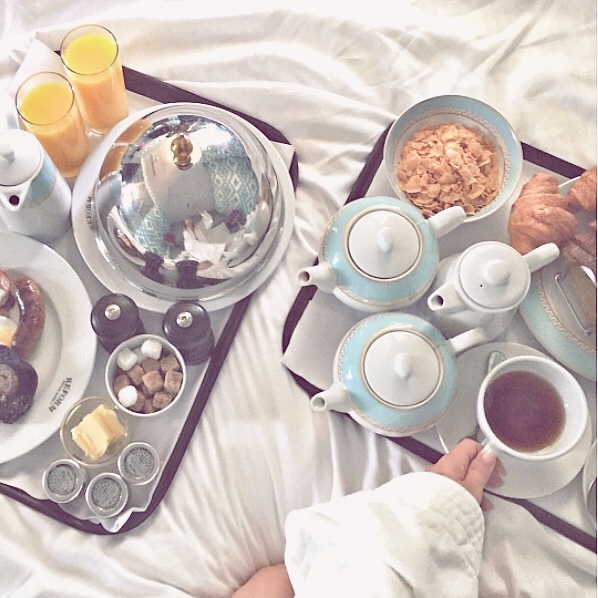 That being said, once I got my bubbly fix, my favourite part of the stay was wrapping up in the comfy nightgown, ordering room service (presented beautifully and complete with silver cloches) and enjoying a bit of “me time” with my boyfriend (and a perfectly brewed cup of tea!). Waking up the next day was nothing short of delightful as we enjoyed an impeccably presented breakfast in bed which was just the perfect touch of decadence to end our stay.